Ouidah, a placid town with big reputation. It frequently conjures in my mind Portland, Maine, the popular setting for Stephen King’s macabre stories. Experience is the only one way to know the truth about voodoo. To experience it, you have to come in contact with devout practitioners, not charlatans. 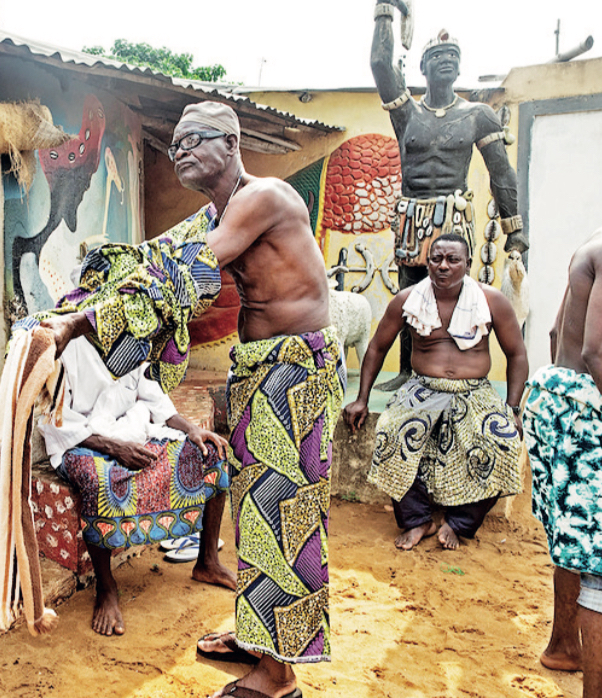 The best place for a lesson in voodoo is Ouidah (Whydah), a coastal town of Benin Republic. My first knowledge about the town was in 2009, from Joe Apu, an older colleague with vast travel experience across West Africa. Frequent travels across the West Coast over the years gave me better acquaintance. The Benin trunk of the Lagos-Abidjan corridor bypasses the town, and as countryside flies past, you will see signposts bearing its name. Ouidah, a placid town with big reputation. It frequently conjures in my mind Portland, Maine, the popular setting for Stephen King’s macabre stories. It was curiosity––not the type that kills the cat––that first took me to Ouidah in 2010. On that first jaunt, the more I saw, the less I comprehended. The second visit, on the invitation of my friend, Hountoun, was rather brief. But it was very insightful. Ouidah has the typical coastal topography. Fine, lush vegetation of swamps meshed with savanna grassland and occasional tropical canopies. The lay of the land is dotted with salt mines; its southern extremities, a stretch of golden beach bordering a languid body of aquamarine water, roused intermittently by rolling waves. Golden sand below, snowy sky above––both seem to meet at a short distance away. Voodoo is the soul of Ouidah. The town annually hosts the biggest gathering of voodoo practitioners on earth, the International Voodoo Festival. 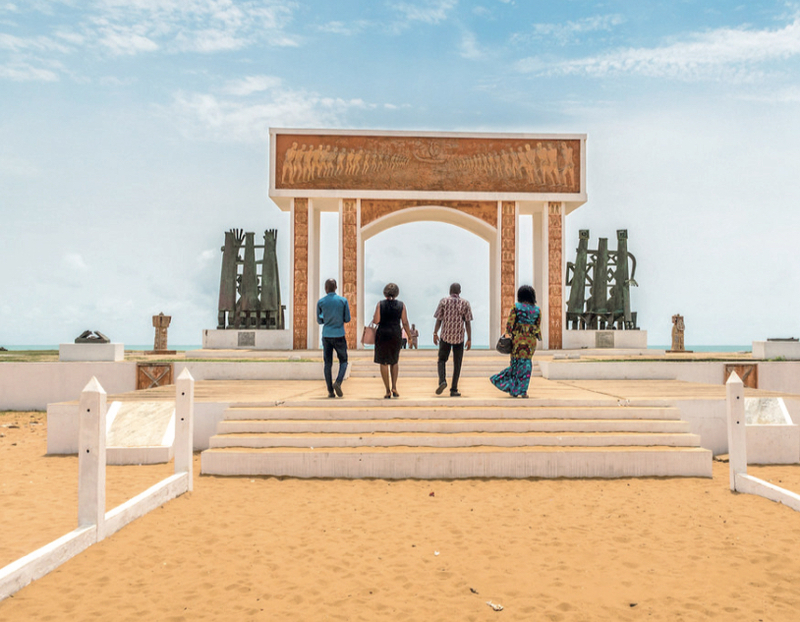 Ouidah’s other tourist attractions––Sacred Forest, Python temple and museum of the Point of No return––all have voodoo undercurrents. If your knowledge of voodoo comes from popular culture, your understanding of it will be underpinned by sinister, malevolent themes born of popular portrayal. Neither music (Jimi Hendrix’s “Voodoo Child”) nor movie (James Bond’s Live and Let Die) gives voodoo a decent treatment. Even in pulp fiction, the voodoo doll is associated with malevolence. What’s worse, the practice is wrongly equated to witchcraft. Far worse, voodoo is wrongly situated. You would think it is an arcane practice from the Caribbean or South America––Haiti, Jamaica and Brazil. 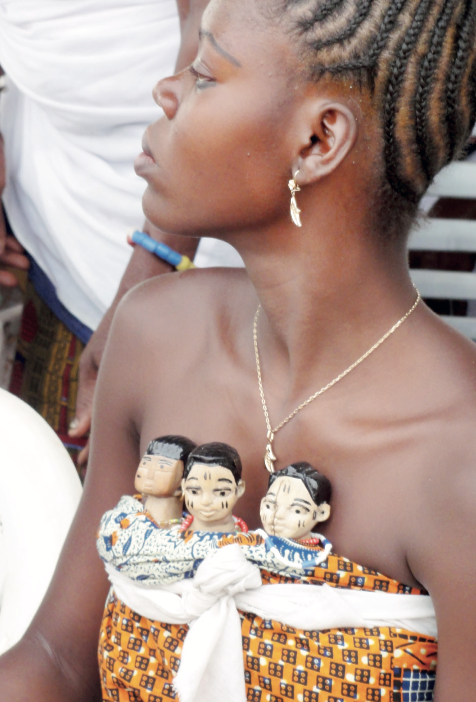 Hey, Ouidah is the home of voodoo. The locals call it Vodun, meaning, the inexplicable. In 2015, I had met Blaise Dah Hountoun, a teacher, in Porto Novo. A few weeks later, in September, he invited me to his hometown Ouidah. The visit lasted five hours. We arrived the town under a blazing heat. He prepared my mind with a visit to Musée d’Histoire de Ouidah, the local history museum. Next, he tried to cure me of my fear. At the Temple of the Sacred Pythons. The temple is small. But big enough to house not less than 50 adult royal pythons. An attendant might drape a python around your neck. If you have the nerve for it. 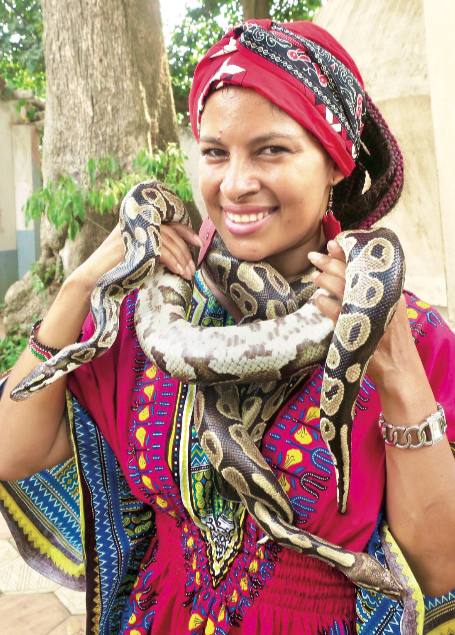 Many tourists pose for photographs with a dangling necklace of snake. Others are content with just touching the snakes. I belong to the third group––us that respectfully keep our distance from the slithering beings. Shrines in the temple received offerings to Dagbe, the snake deity. Royal pythons are not dangerous, Hountoun told me. 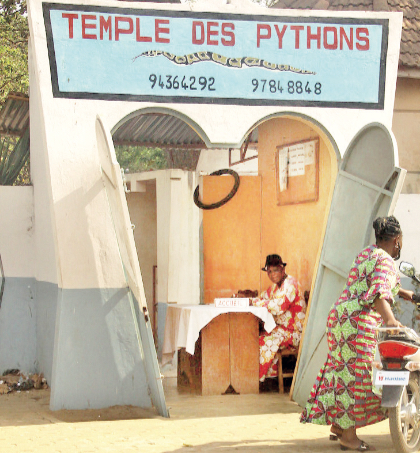 Unlike in other parts of the world, snakes are not feared but revered in Ouidah. I would not want to live in the town. Not after he told me the reptiles freely roam into households at night when the temple’s doors are opened. “The locals welcome them into their home, feed them,” he informed. Next, he took me to the Sacred Forest of Kpasse. Known to the locals as Kpassezounmin, the park was in a residential area. Its entrance was flanked by leopard statues. What it harboured was a pantheon of voodoo idols. The first statue was Legba, the guardian deity of homes, villages and towns. Legba fascinated me. Seated on a traditional stool, hands on his knees, his phallus was as long as his horns. He showed me the remnant of an old tree fell by a storm in 1988. Because it blinded two men who attempted to chop it down, it was declared sacred. Then we stood before a huge Iroko. “This is King Kpasse,” he said tapping at a tall, grey and a thick-trunk tree. Kpasse the first king of Ouidah had disappeared into the forest and turned into a growing Iroko tree. “You can make a wish on it,” said Hountoun of the tree. At the last section of the shrine, we stood before a voodoo doll. It was made of thinly panel-beaten tin. There were pins stuck all over it. Hountoun took me to the beach, to the historical Point of No Return, where today stand various relics and memorials. Ouidah was once the most important slavery hub along the West Coast of Africa. We retraced the steps of the captives on the Route des Esclaves––a four-km stretch from the Portuguese fort of Sao Joao Baptista de Ajuda to the Door of No Return memorial. We went back in time. To the dark period, of man’s cruelty against men when humans were the most lucrative commodities traded on the continent. Before embarking on the voyage of damnation, slaves used to go the Temple of Pythons to pray, to pass through the ritual of encircling the holy tree, the purpose of which was for them “to forget forever about the place they come from and where they will have never again returned to.” After then, they were walked to the beach to embark on the journey to captivity in the Americas. 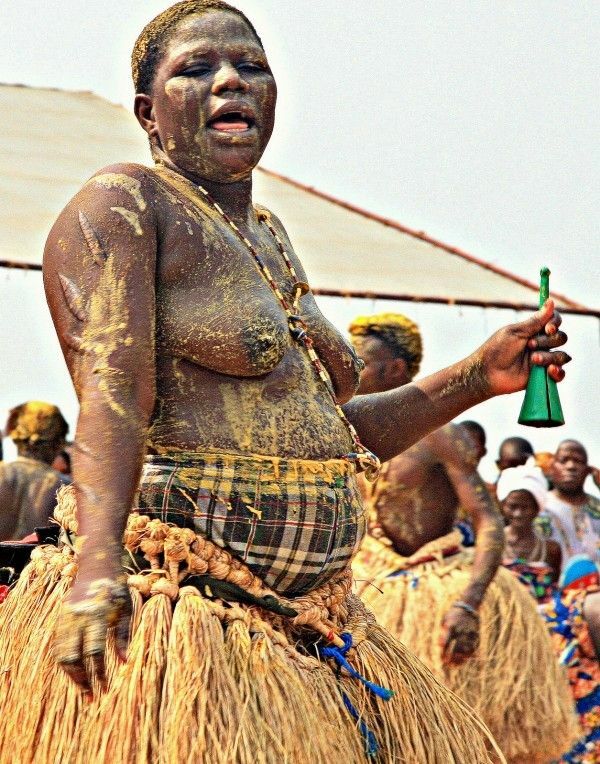 What about the Ouidah Voodoo International Festival? Oh yes, it takes place right here, he said, stamping his feet on the beach where we stood beside the Door of No Return memorial. The day was in September. Months too early to witness the festival that traditionally holds on January 10. Hountoun’s description––a spectacular celebration in which different group, tribes and communities showcased energetic performance, of music and dance, a revelry fuelled by home-made gin, with interludes of devotees slipping into trance, with the rites ending in the sacrifice of goats––gelled with videos on Youtube. The biggest fascination for me was the voodoo twins tradition. Once a twin dies, the parents carve a wooden statue called hohovi into which the spirit of the dead child is trapped. Like a genie in the bottle. The figurine is showered with parental care as given to living children. If you are observant, in Porto Novo or Ouidah, you are likely to see women walking around with hohovis sticking out of their upper garment. Hountuon said the Fon believes twins are immortal, their souls live after their death, and are capable of bringing blessings (if pampered) or bad luck (if abandoned) to the parents. Seeing is believing. He took me to his novi––niece. We found her ready to feed her twins. A plate of boiled beans with red oil. The twins, two miniature hohovis on the ground, had died six years earlier, barely a year old. “I do for them everything I do for my other children,” she confirmed. That included feeding them daily, taking them out for bath, offering them sacrifice at a shrine where she asked for their blessing and laying them to sleep at night. I wondered aloud why Hountoun, with all his education, still believed in voodoo. Without a change in his demeanour, he calmly told me that voodoo is part of the local culture of Benin and a way of life for everyone from Ouidah. Do you mean there are no devout Christians and Muslims? “Voodoo is a religion,” he affirmed, reminding me of its status as an official religion in Benin since 1994.